It's so easy to get to the end of a long day and lay in bed and think about all that went wrong that day, it takes a little more thought to lay in bed and think about all that went right. This year I have been intentional about ending my day on a positive note, I do this by using a Daily Journal. I've seen others journal before but it always seemed too overwhelming to me, they wrote so much, or the focus of their journal wasn't really in line with my needs. Below I'll share the three simple things I write down every night that has made a huge difference in my life. This is my favorite thing to think of as it really puts me in a good mindset before going to bed. Even if I've had an overall horrible day there will always be at least one thing that was good in my day. Maybe my high on a rough day would be something like "had a warm delicious dinner" or "my student said thank you", these don't need to be big events every day. Choose something that made you feel good / something that will end your day peacefully when thinking about it. I think we sometimes get in the habit of feeling like our days aren't anything special or great, but if you take the time to think about it I can guarantee you will find a lot more than one "high" in your day. I like to write a low that is something that was within my control. I don't find it that helpful to write down complaints such as "a lady at the grocery store was rude" instead I might write " I took others actions personally" as this is something I can control and improve upon. While I think it's important to recognize what those low moments in our day are I think we should use it more so as something to grow from. Maybe my low for the day was being short tempered with my co-workers or maybe my low was neglecting to do my housework that has now piled up. Pick a low that you can improve on in the coming days, not a temporary annoyance. I like to end the day by setting an attainable goal for the next day. This goal may be as simple and direct as "complete a 30-minute workout" or it might be more open such as "say a kind word to a coworker". Setting goals at the end of the day helps you to start the next day with an intention/purpose. Never make these goals something crazy, these aren't huge life goals you are writing, they're just one thing you want to do the next day. After I write the goal I like to say it as an "I will" statement. So if I wrote my goal as "complete a 30-minute workout" I would then say aloud " I will complete a 30-minute workout". 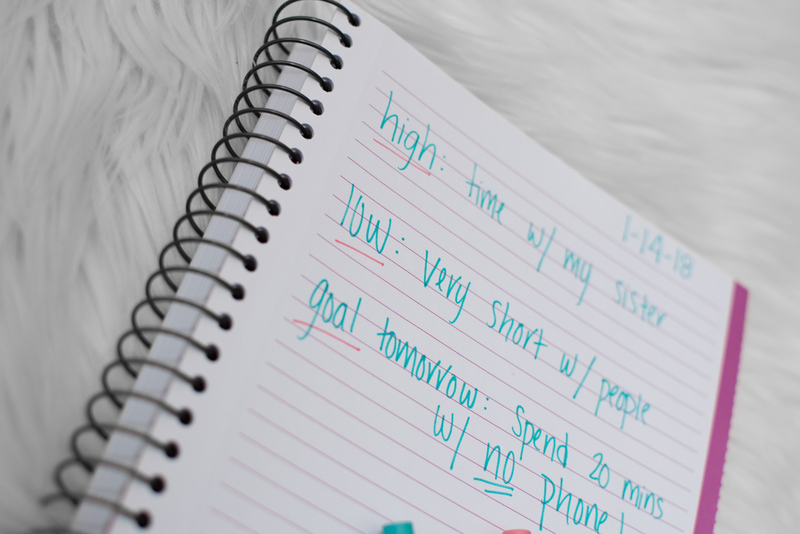 By the end of the year, you will have 365 goals you have completed! Do you journal? What do you like to include? I'd love to hear! I don't really journal consistently, mainly because I always end up spending too much time on it. But I love this idea of writing just a little bit for each day. I use a bullet journal and I usually just write down the best of the month, but I should try and incorporate the low as well. 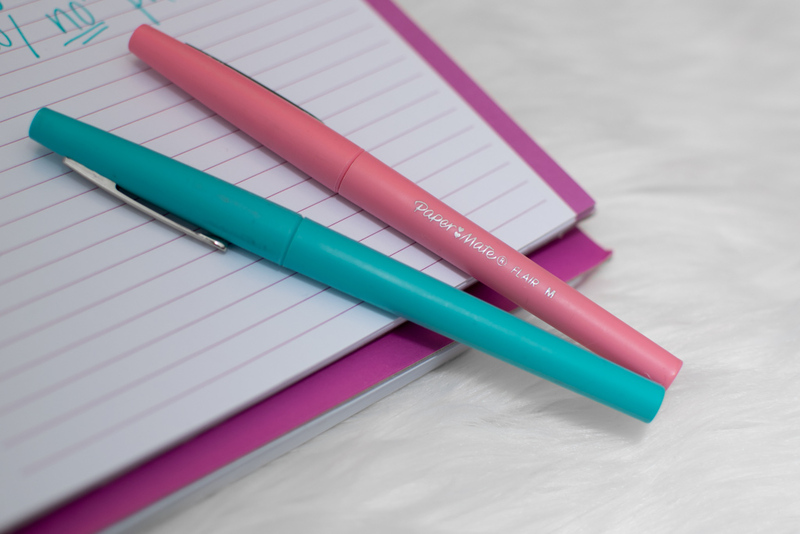 I’ve been interested in journaling, I agree it seems overwhelmed but I can see how helpful it is to write these things down. I’m definitely going to try this! PS those pens have been my favorite since highschool lol. They’re the best! This is so easy to do and looks like it would make such a great impact in being positive and grateful each day! I did a daily gratitude journal during a rough semester in college but I like how this journaling idea combines both highs and lows. 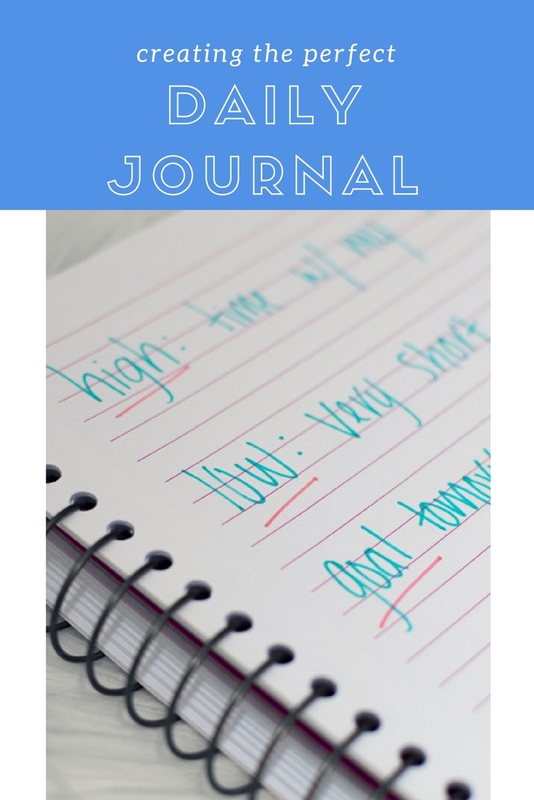 This is a great intro to journaling! I'm totally going to try this! I want to try this now. I have just gotten back into my planners and journaling so I'd like to do this. What a great idea! Such a fun way to look back in the future! 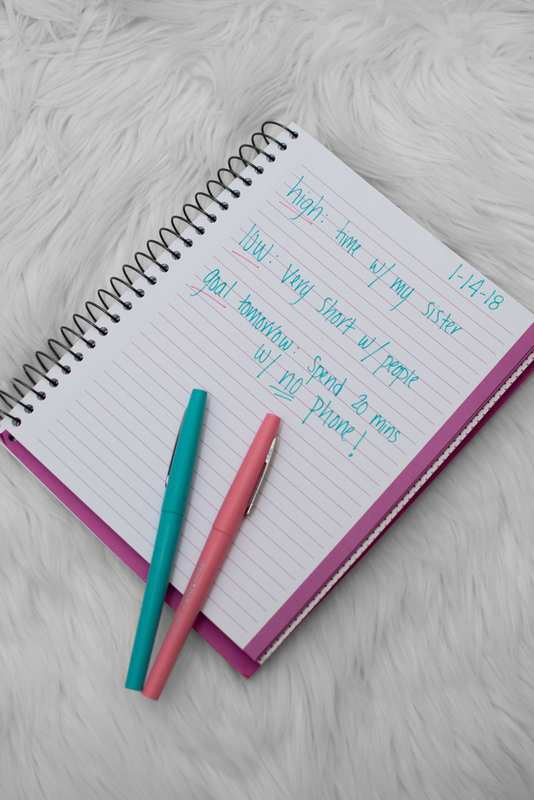 I don't journal but I think this is such a good an easy way to be more mindful, celebrate what you've accomplished and keep on task for the next day. Good idea! This is a great idea! I have been wanting to journal more but finding time has been my problem. I really want to try this out in the future! So cool! Interesting idea! I have so many to-dos I'm not sure that this would work for me, but I could see how it would be helpful for others.